I’ve entitled this Christmas Entertainment, but I’m not really going to entertain, rather, I’m looking for some ideas for the holiday season. We have looked at Christmas movies, but can’t find anything we could sit through without falling asleep. Christmas isn’t Christmas without ‘It’s a Wonderful Life’ but we’ve watched it so many years, I think this year we should give it a miss (well maybe). 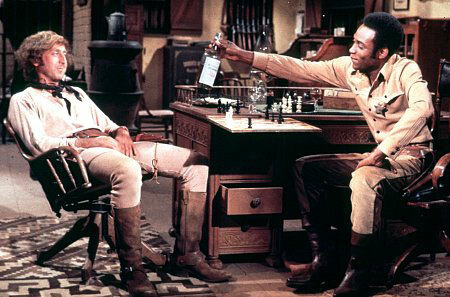 We can remember really enjoying Peter Sellers in the old Pink Panther films, especially ‘The Pink Panther Strikes Again’ and ‘Blazing Saddles’ was another epic movie , but these are all a bit dated now. Jeff falls about during any of the Marx Brothers films and is forever quoting bits like ‘there aint no sanity claus’ or ‘women should be obscene and not heard’. What are your favourites films – anyone have any clever ideas? Christmases at Glenshee always involved board games, charades, etc. which was a great way to get everyone doing something and stop those who fancied a sleep after a big meal. But there are only 4 of us this year so the options are limited. Again has anyone any good ideas – preferably something that doesn’t involve buying a game, after all we are Scottish/ Fifers/Aberdonians! Last year Jeff and I were on our own and so we headed to Martock to ski as there was enough snow. However, having skied in France, America and Canada on Christmas Day we hadn’t even considered that the ski centre would be closed and not only did we fail to ski but we couldn’t find anywhere open for lunch or even a cup of coffee! We won’t make that mistake this year. Add your ideas and comments here and maybe others will get some alternative solutions this Christmas. We have all those Pink Panther movies and we really enjoy looking at them from time to time. 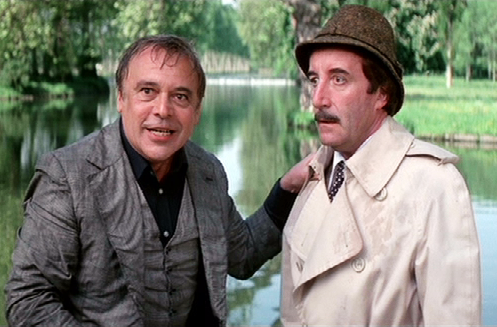 It is a great pity that Peter Sellers died, beacuse he was a great film star.